Haskell County was organized on July 1, 1887, by J.E. Marlow; C. H. Huntington; Joe Comes; and A. T. Collins. It was named for Dudley C. Haskell of Lawrence, a former military man who died while serving the state as a Congressman in 1883, and contains the cities of Satanta and Sublette. In 1913 the Santa Fe Railroad was built through Haskell County, bypassing the old county seat of Santa Fe relegating it to a ghost town. The town was divided and moved to the two present sites of Sublette and Satanta. There are 11 homes in Sublette, as well as a few in Satanta, that were moved from the town of Santa Fe. The railroad and the development of oil and gas fields in the 1930s, and the locating of many deep wells for irrigation significantly improved the economy of the area helping overcome the "dust bowl" of that period. Haskell County was one of the hardest hit counties in the Midwest during the drought of 1930-1937. The first church is believed to be the Santa Fe Methodist Church founded about 1897. The first rodeo and fair was held in Sublette in 1916, and the fair continues at the same location. The first school district was founded in Santa Fe in 1887. 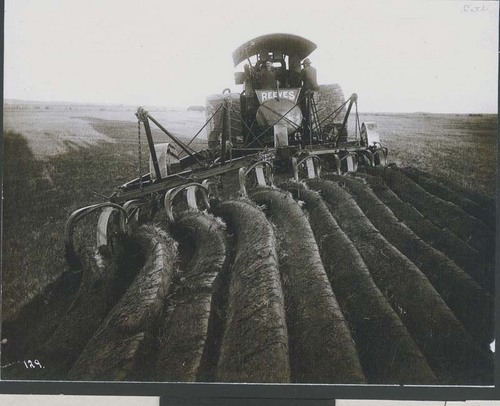 Amanda I. Watkins, who owned a considerable amount of land in the county, was named "World Wheat Queen" in 1926 and retained her title for ten years. In 1926 the proceeds from her farm exceeded that of the salary of President Calvin Coolidge. One evening in 1920 a school teacher named Nellie Byers was returning from the school to her lodging. The Cimarron River was running water and she stopped to remove her shoes and stockings before crossing. The next morning she was found dead on the river bank, believed to have been killed by a band of cattle rustlers although a local bachelor was accused of the crime. It is said that after dark a light can still be seen a few feet off the ground, moving from the school to the river—it is Nellie Byers, carrying her lantern and retracing her steps. For more information see the Haskell County website. Microfilm of area newspapers, including the original town of Santa Fe covering the period 1888-1983, and other records are available at the Haskell County Museum in Sublette.